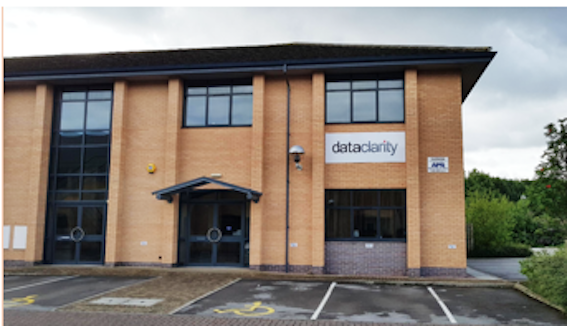 Data Clarity, the Derby based software solutions and data specialists, has relocated its headquarters to Pride Park, which will provide 3,000 sq ft of space to its growing workforce. Data Clarity have both trebled their employees and doubled the company’s turnover during the last 12 months. Investment in science and technology has enabled the company to invest in new product development, expand the product portfolio (by 70%) and improve the speed and functionality of their existing products. The new office will provide first-class facilities for employees and clients with the inclusion of new break out pods, meeting areas, welfare zones and a purpose-built marketing suite. Kevin Carrick, Chief Executive Officer, said: “Our core values of honesty, integrity and our understanding of our client’s unique business challenges has enabled us to move forward and exceed our goals. “Our new headquarters will provide the room we need for further expansion enabling us to provide higher levels of service to our clients through additional revenue streams and services offered.